Between the dates of October 21 and 24, UCM catalog number 10176 was stolen from an exhibit case in the Anthropology Hall of the CU Natural History Museum. 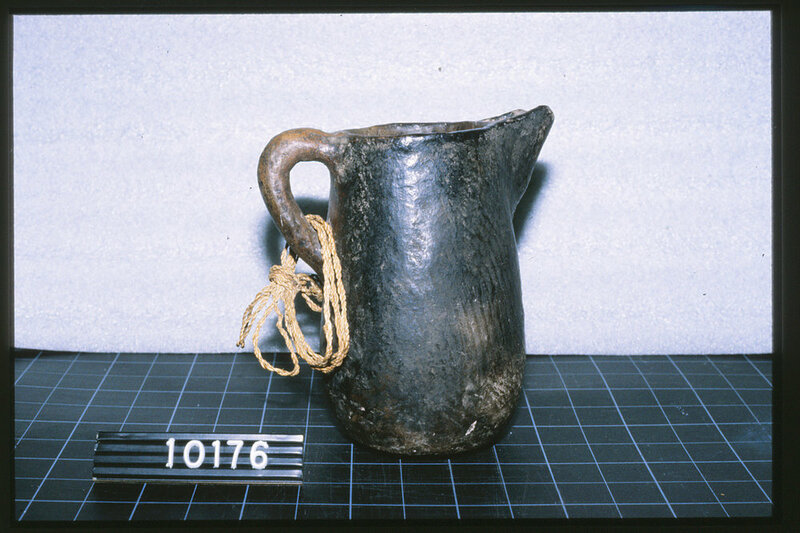 It is a Navajo coffee pitcher. The pitcher is dark brown in color with a handle at the top across from the spout, which has six straining holes. There is a fiber cord attached to the handle. Its dimensions are 16.5 cm L (including the handle and spout), 10.5 cm W, and 18 cm H.
The pitcher is a “Navajo Coffee Pot or Pitcher, European Style” collected by Earl H. Morris from the “Southwestern United States” and donated in the 1940s to the CU Museum by Lucile Morris, Earl’s second wife. Please contact CU Museum staff or the CU police department if you have any information on this item. Thank you.